How Well Do You Know Great Britain? As part of Ordnance Survey’s campaign for National Map Reading Week we put together a quiz testing the nation’s geographical skills. The quiz tests people’s ability to locate cities, landmarks and counties across Great Britain. 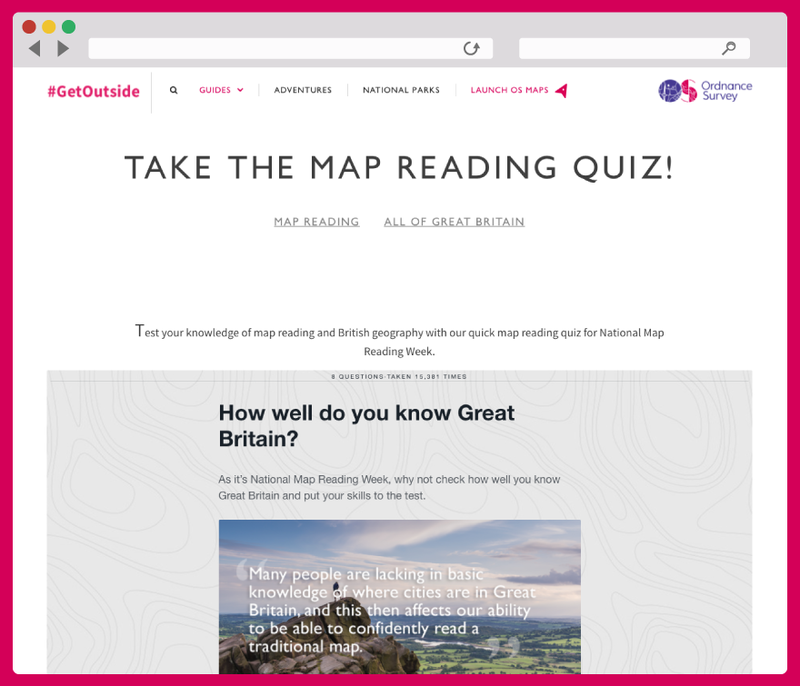 Ordnance Survey placed the quiz on to their National Map Reading Week microsite that they set up. The quiz was taken over 15,000 times and had over 600 social shares. Ordnance Survey – How Well Do You Know Great Britain?